Breakfast is our favorite meal! 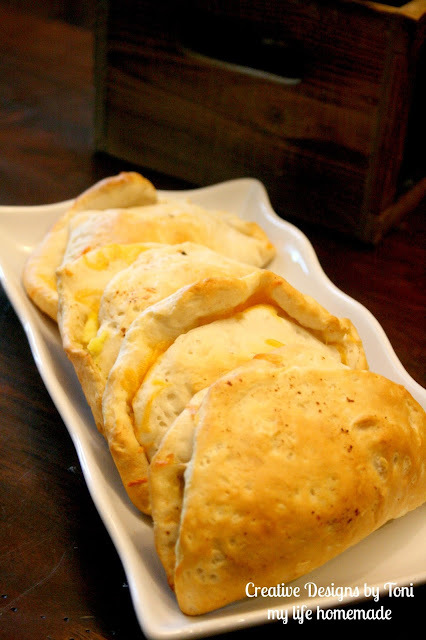 We could eat breakfast foods for lunch, dinner, snack time, or any time for that matter. 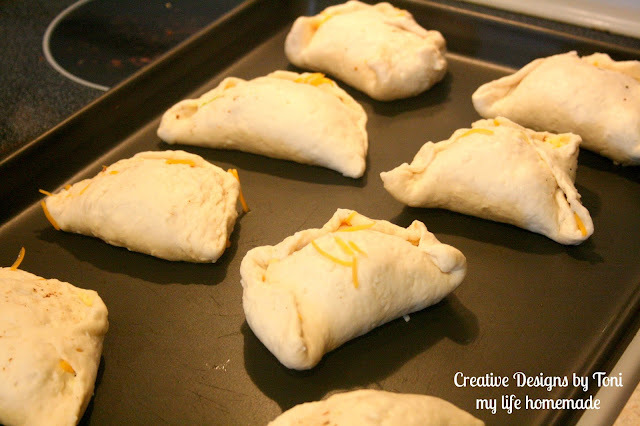 Now that the boys love to help me cook and I love that they want to help, I have had to expand on my basic cooking skills of pancakes and biscuits. The other day my oldest son came to me asking to let him make breakfast. So, of course I said yes and told him to look for something easy to prepare and simple to cook. 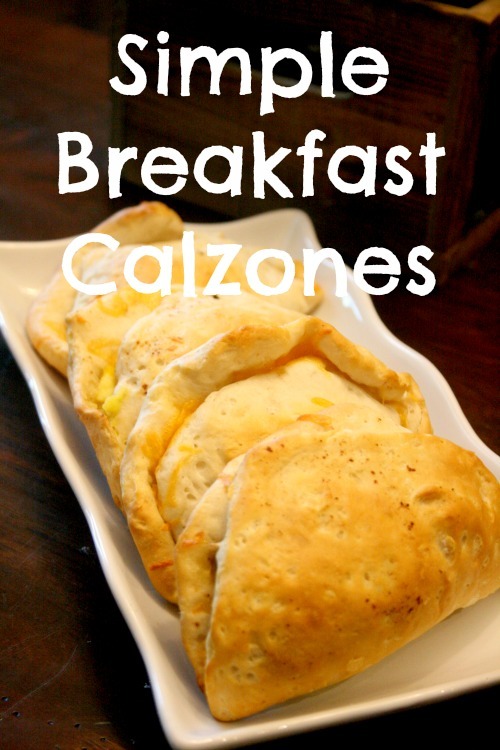 He came back with a breakfast calzone recipe that was just a bit too advanced for him. But, he still wanted to make them anyway, so I started searching for a simple recipe for this meal and no luck. So, I decided to just wing it and make it our own. 1. 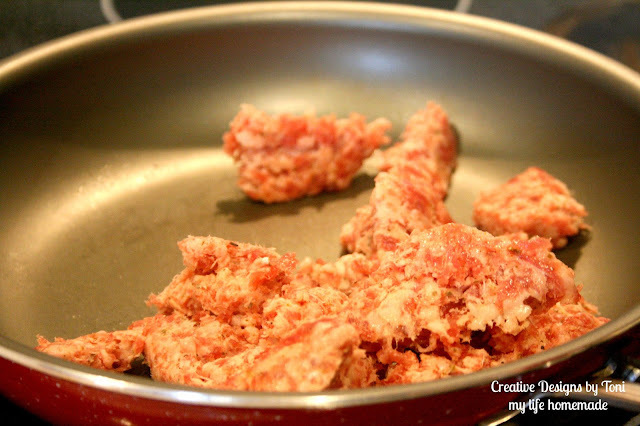 Cook and brown your sausage and drain the fat. Set aside. 2. 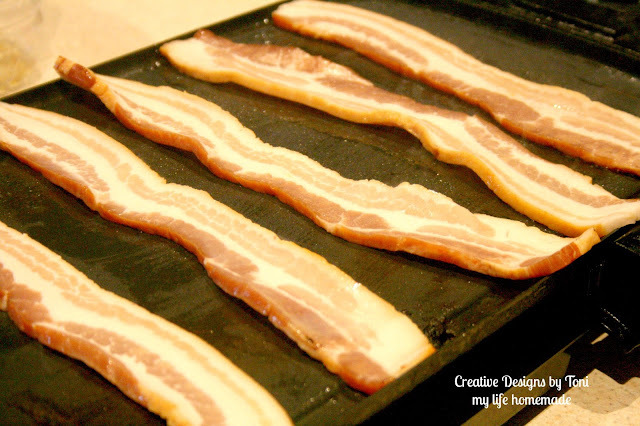 Cook bacon completely. Chop into bite size pieces. Set aside. 3. 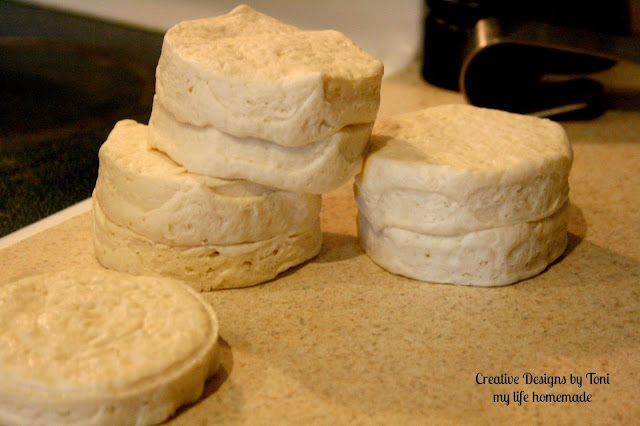 Using your hand, bottle, rolling pin, etc., roll out and flatten your biscuits to desired size. 4. 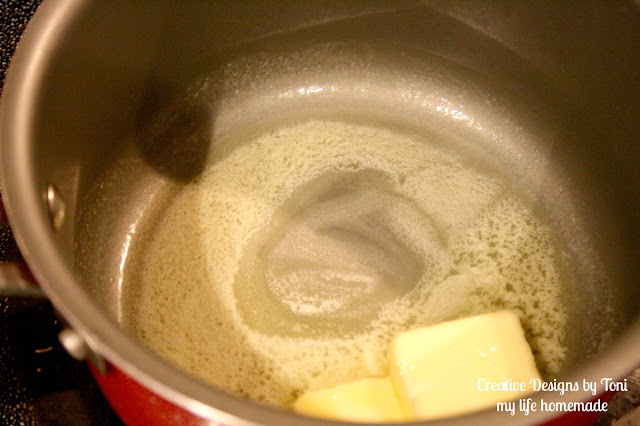 In a medium sauce pan, melt butter on medium high heat. 5. 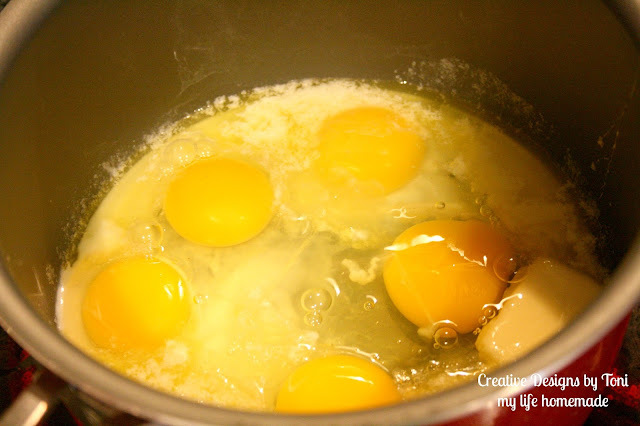 Add eggs and mix. Continue stirring off and off until you have fluffy scrambled eggs. 6. 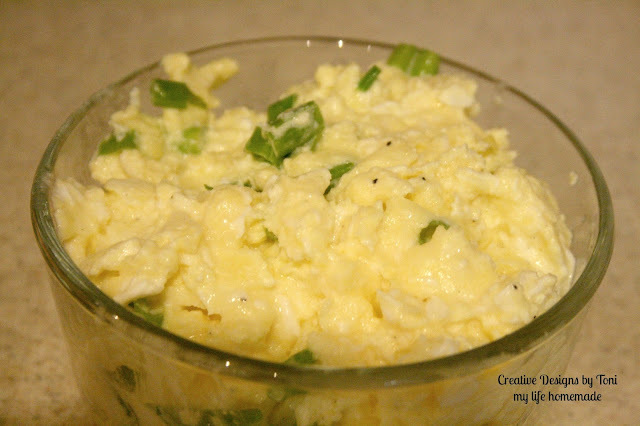 Add sour cream and green onion into eggs and mix. 7. Set eggs aside to let cool. 8. Sprinkle cheese on top of flatten biscuit. 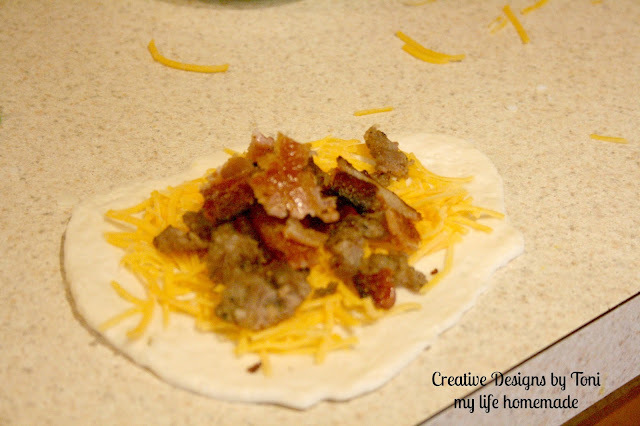 Top with eggs, sausage, and bacon. 9. 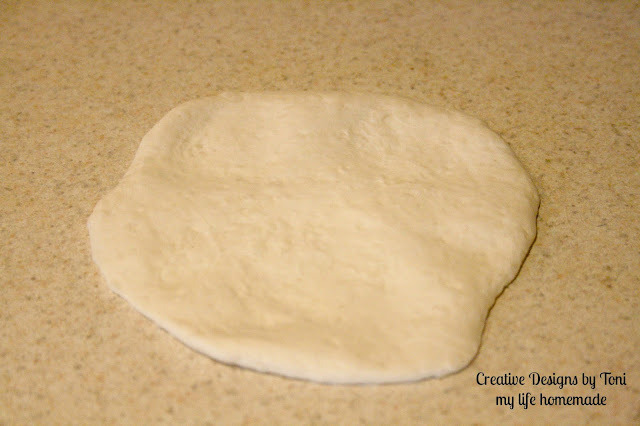 Fold over until edges meet and pinch edges to seal. 10. Place on a cookie sheet and cook for about 12-15 minutes until golden brown.